and features the singles "
" (both the original version and remix), "
" (both the original version and remix), and "
Last edited by jjavier1978; 06-02-19 at 21:30. Last edited by jjavier1978; 06-02-19 at 20:00. Last edited by jjavier1978; 16-04-19 at 21:36. Last edited by jjavier1978; 07-02-19 at 03:34. Proven hitmaker Luis Fonsi officially has himself a Billboard baker's dozen. His tenth studio album Vida debuts this week on the Billboard 200 at No. 18 and on Top Latin Albums at No. 1, displacing the latter's chart topper, Bad Bunny's X100PRE by Bad Bunny, for the first time in the Latin trap sensation's seven week run. 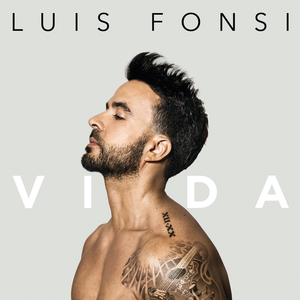 Further down Hot Latin Songs, Fonsi makes a third concurrent appearance with the chart debut of "Sola," the album's opening track. Across all three of the Billboard Latin charts that inform the multi-metric Hot Latin Songs, "Imposible" made considerable gains. On the radio-centered Latin Airplay it rises to No. 4, while taking No. 6 on Latin Digital Song Sales. And for the first time, the song makes an appearance on Latin Streaming Songs, its premiere at No. 14 indicating robust digital consumption by first time Vida listeners. Whether or not "Imposible" will join previously charting Vida singles "Despacito" (with Daddy Yankee and Justin Bieber) and "Echame La Culpa" (with Demi Lovato) on the all-genre Hot 100 remains to be seen. Should it maintain its upward trajectory in the coming weeks it certainly stands a chance. However, Ariana Grande's just-released Thank U, Next will likely dominate the Hot 100 and simultaneously log as many a dozen positions there next week, which could prevent Fonsi's latest Latin pop hit from crossing over. 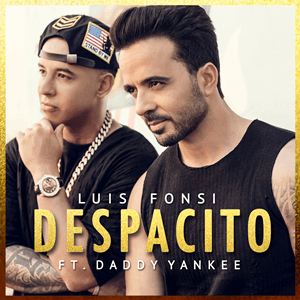 Then again, the only reason his still immensely popular "Despacito" isn't on the all-genre singles chart anymore is due to a Billboard technicality, so anything is possible here. Last edited by jjavier1978; 12-02-19 at 19:46.